According to Proclamation No. 410, "Benigno S. Aquino III, declare Monday, July 2, 2012, as a special (non-working) day in the City of Pasig. 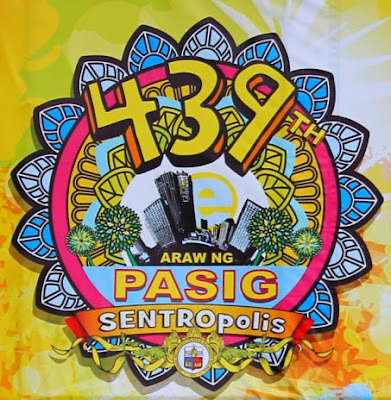 It's a 439th Anniversary Celebration of the Pasig Day on Monday. Sound good to me because I'm working in Ortigas and its a long weekend ahead, it will start from June 30, Saturday up to July 2, Monday, a three days happy vacation. Proclamation No. 410 stated that "it is but fitting and proper that the people of the City of Pasig be given full opportunity to celebrate and participate in the occasion with appropriate ceremonies." Meanwhile, I would like to say a Happy Pasig Day to all resident of Pasig and Happy Special Long Weekend to all people who used to work inside the City of Pasig. Comments or suggestions about "July 2 Special Non-Working Day - Pasig Day" is important to us, you may share it by using the comment box below.